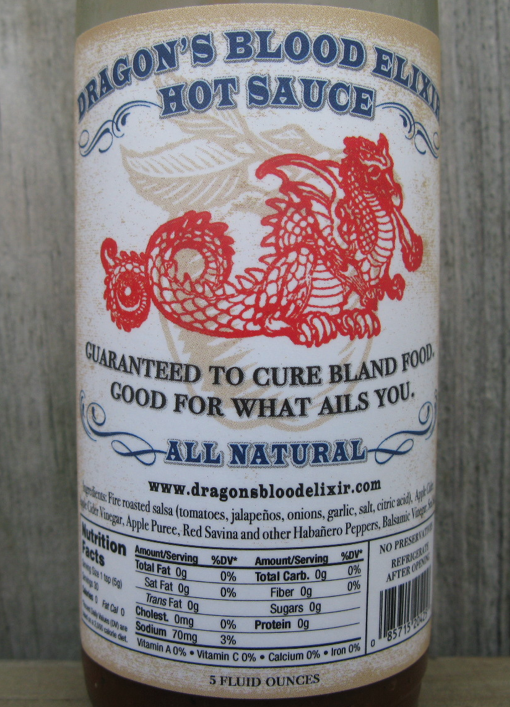 The newest product from Lucky Dog Hot Sauce is the Black Label Extra Hot Fire-Roasted Pepper Sauce. The fourth sauce in the Lucky Dog stable, the Extra Hot features Trinidad Scorpion and Jalapeño peppers along with apples, figs and garlic. Sounds diverse, right? Let’s see if the “Extra Hot” in it really is. 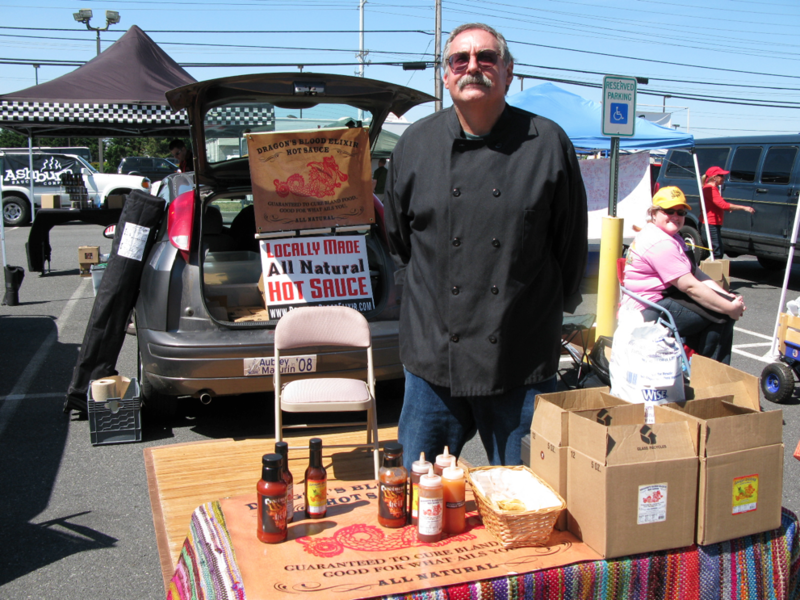 Scott Zalkind has recently added his Black Label Extra Hot Fire-Roasted Pepper Sauce to his line-up of Green Label, Red Label and Orange Label sauces. That original trio of Lucky Dog sauces pack some big flavors and big heat. We reviewed them here. Ingredients: onions, apple cider vinegar, water, organic apple sauce, jalapeño peppers, garlic, dried figs, sugar, scorpion peppers, sea salt, ghost pepper sea salt, lime juice concentrate. I think the Black Label has upped the game here many fold. More flavor and more heat while striking a great balance between the two. Nice medium blend here. Very palatable. See that bronze color? Texture & Appearance: A nice medium consistency – tiny chunks of chile goodness – color is a bronze mash that is easily pourable. The sauce really stands out on food. On the tongue, this sauce blossoms and gets “thick” tasting. Taste Straight Up: Thick, pungent and hot. The fruity flavor of the Scorpion chile pepper really shines here. Garlic is the next flavor that brings on a nice familiar taste. Note: Tasting straight up is NOT always the best way to judge a hot sauce. Forget all those YouTube videos of guys slamming down spoonfuls of hot sauces. While tasting straight up is important to an overall review, it’s not the be-all-end-all taste test. 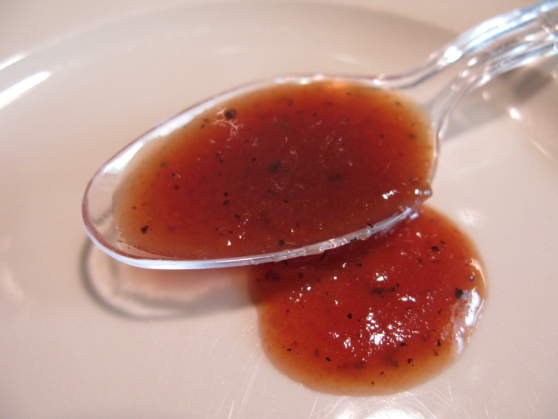 You must sample sauces on chips, food, toast points, etc., to get the full experience. I mention this here, as the Lucky Dog Black Label, like many sauces, tastes one way out of the bottle, but completely different when poured onto food. Heat Level: – 3.5 out of 5. It’s hot, but not a hurt you kind. I think back to our review of Lucky Dog’s Orange Label, and this is much more of a pleasant heat. While quite potent, this burn does not stay with you long. Very enjoyable and exciting, yet short lived. Label/Graphics: Continuing with the same “foil label” format and theme of the Dog (Lucky) in a Horseshoe – the Black Label is similar to the Green, Red and Orange labels. There’s no doubt that all of the sauces are from the same manufacturer. 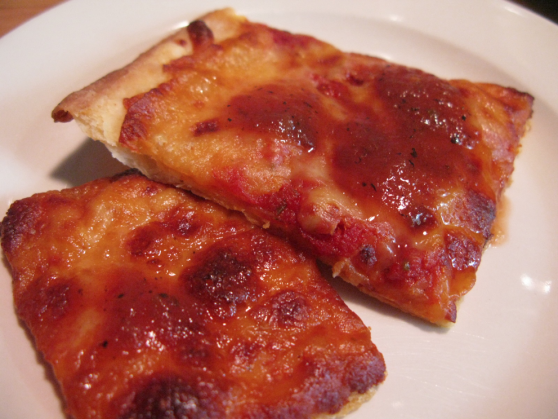 Great on pizza! I could not get enough of this. Overall Rating (Taste on Food, Final Thoughts): – Superb flavor and heat, Lucky Dog has matured and nailed a great blend of super hot chiles with super flavor. Simply spicy and delicious on pizza, this sauce would please any fan of the superhots, while being accessible to everyone that loves hot sauce. 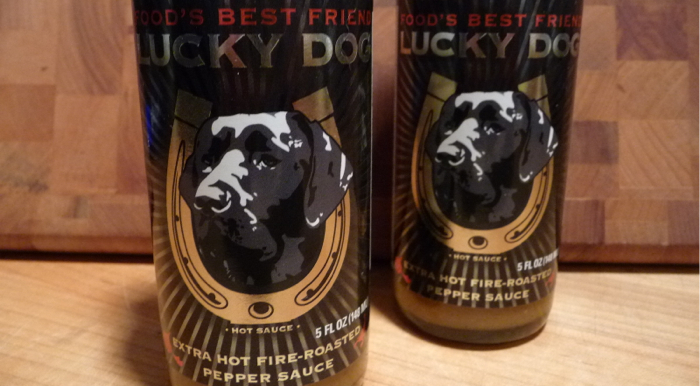 Lucky Dog Black Label is our favorite of the entire line of Lucky Dog sauces!